About twenty-five years ago, audiologists began to seriously question the issues which may constitute a professional “conflict of interest”. Over the past two decades, many examples of blatant Conflict of Interest (COI) have been exposed, discussed, and for the most part, remedied. The field has improved remarkably—as it had to do. But there remains an issue at the core of hearing healthcare that still should be addressed and understood. In a recent audiology ethics lecture at a major university, during the discussions that essentially were tangential to COI, the issue of profitability arose again and again. “We are entitled to a profit from our practice.” “How can we stay in business without profit being considered?” “How do we balance profit, transparency, and patient interest?” If there were easy answers to these questions, it could be expected that everyone would not be so questioning. Many ethicists writing on the conflicts of interest in healthcare would state that when the interests of patients are met with the interests of business profits, the result is often not what the consuming public expects. 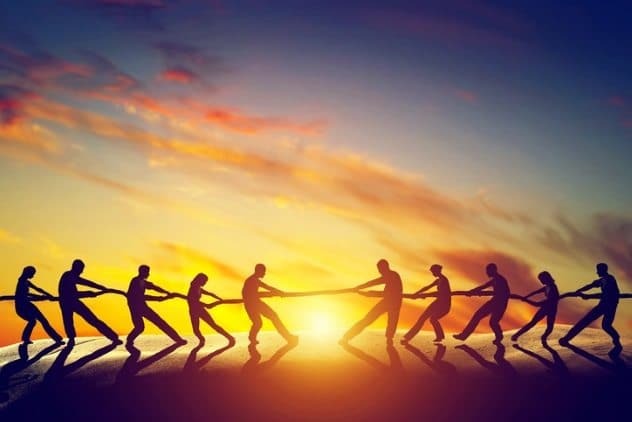 Stated even more bluntly, healthcare profit and patient interests are almost always in conflict—the resolution to this conflict lies in the attention to and the management of the details. Nowhere is this conflict more obvious than in the study of the federal regulations that have attempted to regulate healthcare in general. Specifically, one need only observe the modifications, addendums, and “work arounds” to the self-referral and anti-kickback acts, to say nothing about the false claims act (initially enacted during the Civil War to regulate those supplying the Yankee government). There appears no evidence of waning interest from the government and health insurers in their attempts to regulate, object and deny payment for advances in technology and treatments. At the heart of these government regulations is the flow of money. That is, regulations were proposed and enacted because it was commonly thought that money was paid out in a way that was inappropriate, invisible. or just “wrong”. Suppliers falsifying billing statements. Referrals being made in an inappropriate manner, resulting in additional profit. Private patient data being used to generate money. Private companies seeking sales in an unprofessional manner. And so on. Profit, necessary or not, versus all else. The past few decades have seen the government take a more tenacious stance, investigating “big (and small) Pharma”, challenging hospitals and other patient care institutions, physicians, and their professional organizations, and monitoring insurers of all types. Audiology and other healthcare providers also face inspection by these federal agencies. Walt Kelly said—through his “Pogo” cartoon characters—that “We have met the enemy and he is us”. Or something like that. The COI issue does not rale against profit per se, except when it gets in the way of patient care. COI occurs when the details that cause conflict are mismanaged or ignored. Patient care (public interest) must take a position that is first in all circumstances. Even (gulp!) above considerations of profit. To be clear, profit is not all bad. Excessive profit or profit extracted in devious ways is bad if public trust is to be maintained. What constitutes devious ways is difficult to define, but it is certain that after crossing some sort of “red line”, some providers are in dangerous territory. Consider a therapy that could markedly reduce the mortality of cancer. It could help thousands of people. It costs over six figures per year, per patient. Is the profit from that treatment justifiable or sustainable? On what basis—financial, humanistic, or other? If the answers were easy or obvious, this would not be a topic for healthcare or ethical discussion. Returning to the topic of COI in audiology, especially as it applies to the private practice of hearing care (both medical and non-medical), how much profit is too much when accumulating it ignores the conflict that is inherently present? How does a clinician make these determinations? Inevitably in these conversations, there arises the methods that the practice of medicine uses. The warning that seldom is employed when comparing audiology to medicine is that not every practice in medicine is without conflict. One has to be careful not to compare what we should be doing to those practices that are perhaps dangerously close to being in unmanaged conflict. The issues that comprise a conflict of interest in any field that serves the public good must be evaluated periodically to assure that the interests of those who are served remain in the forefront. Absence of such vigilance will place any field on the “bad side of the red line”. So, in answer to the student questions about the necessity of profit, how do you—as a patient, or as a clinician—answer? Excellent article. A mutual friend, Rick James, said we should get connected. What’s a good phone or email for you? This is so vague…we love pointing out that private practice audiologists/dispensers are the bane of existence to the role of the ethics debates but never get to the real topic as it relates to Ethics. Be specific who you are upset at. Make a claim. Scott—Thanks for your comment. I suspect that others also would find my comments somewhat vague. I assure you that this in intentional. I would have you consider that specifically naming people would be foolhardy and perhaps result in even more “hard feelings”. Suggesting solutions is also not productive—that’s for you to decide when governed by your professional ethical rules. Members of the profession must arrive at these and other answers not individually but as a profession. These actions and answers will define the field. When asked about profits during a discussion, the AuD students were just as frustrated as many others in Audiology. I hope you understand the ethical differences between dispensers and healthcare providers as it is this difference that partially results in confusion in the minds of patients/consumers as well as the government. I encourage you to do more reading and to participate in ethics discussions. You and others in your field get to decide your own ethical fate.